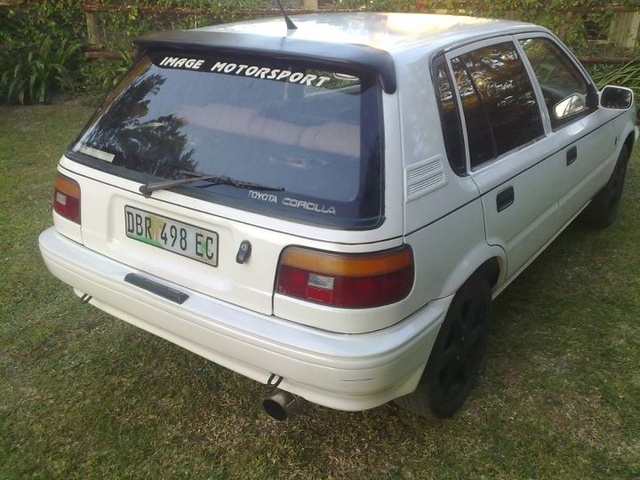 Have you driven a 1989 Toyota Corolla? 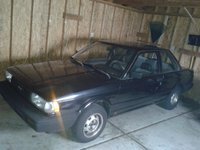 Displaying 21 - 30 of 41 1989 Toyota Corolla reviews. 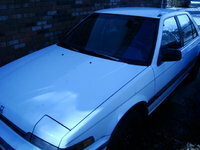 My Corrolla — Well i get great gass milage... it's a staton wagon... Being that it's my first Manual vehicle i think it's pritty awesome... over all i guess i would like my truck running more but the corrola is a great "Sensible" vehicle. Cons: Needs a paint job and a few parts. Great Corolla — The performance of this car is quite good for what is it at this age, you can get it up to 180km/h and still stable but braking could be a bit better, It is a very fun driving car best as fast town car, i love the appearance its a 20 years old car but doesn't really look old. the interior is very nice as this model is a SE limited so there 4 power window, power mirror, defog, heater/aircon, power steering and allot more. i drive this car like there's no tomorrow and it still hold up no problem. Pros: Great built quality, have alot of accessory good driving position. My First Car — My car is faded red and has many dents in it as i bought it off of my sister. The performance of the car is pretty shocking. It has a dodgy gearbox and the washer motor is buggered. It has only done just under 254000km and is still a realiable car to drive. But there is one thing good about it and that is the stereo. My Gti — Well... as ive only driven it acouple of times now its hard to say, i can tell you though that when my other half drives (Rags) it, it sounds awesome and both of us end up smiling! Nightmare for rusting these though so constant washing n waxing is required. Apart from that.... nice little quick, good looking motor! Cons: NOT very fuel friendly, prone to rusting... BADLY! Bmw 523 Stays In The Drivway All Weekends. — I have my old Toyota DX Estate for about 7 years now. I purchased it as a second car for running about and making various trips to our local re-cycling centre in Trim. This car is a 1.8 Diesel, it does not have any toys at all ( unlike my every-day BMW 523 SEi) but what it does have is total reliability and economy to run. With diesel prices rocketing here in Ireland and the price of cars up and down, this little car is slowly becoming me day to day car. The BMW sits in my driveway more and more. My Corolla does need a few jobs done on it now..clutch and a brake upgrade, plus some small bodywork jobs...is it worth it.? YES...and in time the BWM will be sold..nice car yes..practical..sometimes..but becoming too costly to own and run wth road tax here in Ireland hitting €1500/yr with new rules coming in. Watch that space.. The Car Is Reliable If You Take Regular Care Of It. — My car has great interior and the body is fairly straight. The only concerns are the engine is going out and the paint is oxidised because it was owned near the ocean. Pros: Great fuel economy and will last longer than most cars. Cons: The power of the engine is going out, mostly because it has very small tires and is nearly twenty years old. 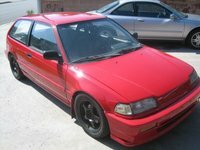 Very Reliable But Nothing For Looks Or Preformance — The car is solid but horrible acceleration and mine smokes up if i go over 130Km/h but for a 20 year old car its still running well. CarGurus has 49,651 nationwide Corolla listings starting at $794.